Adrian was born in Kincardineshire, northeast Scotland and attending Banchory Academy from 1981 to 1989. He completed his Architecture degree in 1992, attending Manchester University. His head tutor was architect Ian Simpson, with Alan Dunlop and Stephen Hodder as assistant tutors. After a year-out working as an architect in Manchester Adrian attended The Bartlett School of Architecture, University College London, run by Professor Sir Peter Cook, from where he graduated in 1995. His tutor was the architect and writer Neil Spiller. His Diploma Dissertation was based on the redevelopment of Hulme, a deprived inner-city area in Manchester, which gained a Distinction. His Thesis on Holographic Architecture in the final year also received a Distinction. Two projects were worked on: a Holographic Intervention at Piccadilly Circus and a Meditation Space in a City of London churchyard. Having graduated, Adrian moved to Cambridge in 1995 having received an offer to work for RMJM on a Cambridge college building. In 1996 he returned to London having been offered a position at Eva Jiricna Architects. Here Adrian worked on 37 different projects over 2 ½ years, generally at concept design stage. Most of the jobs were abroad and it was two years after graduation before The Bartlett Part 3 course rules allowed him to commence a Case Study, located in the UK. This was based on the redevelopment of No.1 Sloane Street (link at base of page) to form a jewellery shop for Boodle & Dunthorne. Adrian passed his Architecture Part 3 in 1997. 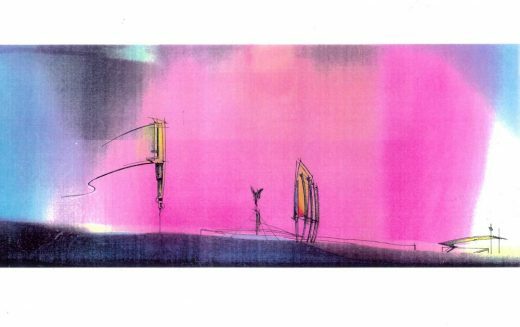 Adrian also worked as principal design assistant to Eva on the 170-bed five-star Hotel Josef, Prague, the Interior of the Commercial Bank, Prague, the Lavka Bridge, Brno and the North Woolwich Bridge competition, London. Adrian married Isabelle Lomholt, who had also trained to be an architect, in 1997. With a baby on the way they decided to leave London and Adrian gained a position at Conran’s in late 1998 working as Site Architect on the Ocean Terminal, a major mixed-use project in Edinburgh. The family moved to Edinburgh in early 1999. Adrian’s interest in finding out more about the city’s architecture led him to start a website – Edinburgh News. This was born out of the realisation that there was no accessible record of recent buildings in the capital since Charles McKean’s Edinburgh Architecture Guide. The website contained photographs and text by Adrian to form a useful online guide to contemporary Edinburgh architecture. It was at this point that Adrian also started to write for various magazines. Writing and illustration had been aspects of Adrian’s childhood with features as a teenager used in various magazines, guides and journals. 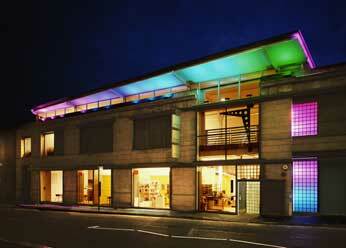 Later Adrian worked for Richard Murphy Architects for over two years from the start of 2000 to the end of 2001. He took both the Fruitmarket Gallery redevelopment & lighting (above) on site – in collaboration with celebrated artist Peter Fink, and Oloroso – a rooftop restaurant in the heart of Edinburgh New Town for Scotland’s Chef of the Year. He also designed and curated the RIAS 2000 Festival Exhibition with filmmaker Murray Grigor. 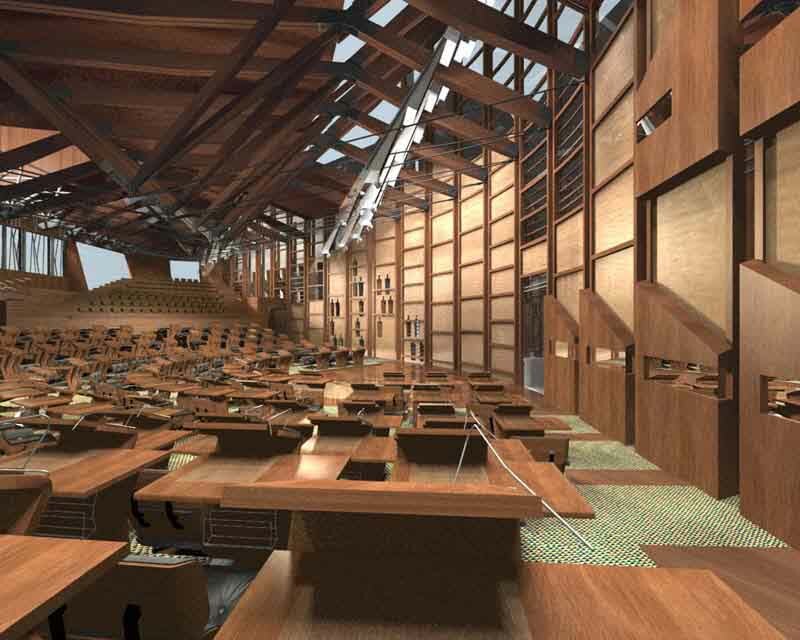 Adrian was offered a job by RMJM at the start of 2002 working as a Project Architect on the Scottish Parliament (above) designed by Enric Miralles. This was one of the highlights of Adrian’s career, working on a highly crafted building alongside the Spanish architects EMBT. His role increased over time from responsibility for the Interiors of the MSP Foyer, Canongate and Towers 3 & 4 to overseeing all the architectural metalwork in the building and being responsible for the Debating Chamber interior. These roles were onerous but formed a major experience. Adrian Welch spent six weeks at this time working for RMJM in Hong Kong on projects in China and India. By 2002 the website was becoming popular and the point of reference for people interested in Edinburgh Architecture. News and events pages had been added and hundreds of pages on individual buildings and architects. 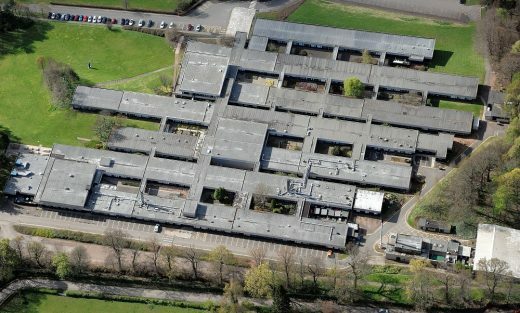 The Glasgow Architecture website was launched. Numerous articles had been written by Adrian for publications such as The List, Building Design, Business AM, The Drouth Literary magazine and Prospect magazine. Also numerous articles had appeared in the Press re the websites per se or topics contained on their news pages. Adrian Welch joined Michael Laird Architects in 2005 as a Senior Architect focused on front-end design or concept work. Adrian has worked on many feasibility projects for Michael Laird Architects with an emphasis on residential property. 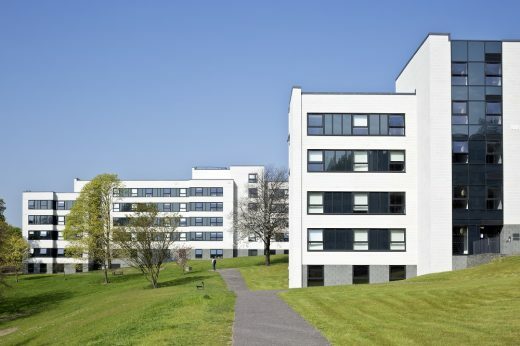 He worked as Project Architect on East Fettes Avenue comprising of 84 housing units in Inverleith, Edinburgh. Adrian was also responsible for PR within the practice. He worked on various projects from Calton Road redevelopment, Rose Street office-to-housing conversion (6 storeys), Charles Stewart House redevelopment for Edinburgh University (5 storeys) and briefly on the interior refit on Edinburgh University Library. He also worked for six months on Virginia Waters Assisted Living (58 flats) in Surrey, England. From November 2016 – Feb 2018 Adrian worked as a Senior Architect for Pace, Kuwait, notably as Project Architect on Hamala Mixed Use Development, Bahrain – new town centre on a 109,000sqn site, Project Architect on the 58,000sqm Mazaya Downtown, Kuwait City – a pair of skyscrapers, 14 and a 32 storeys high ; and on Wafra Towers, Bahrain Bay, Bahrain, a pair of towers, 32 and a 35 storeys high designed by Wiel Arets Architects. Since March 2018 Adrian has relocated to work for GAJ in Dubai as a Senior Architect. June 7, 2018 in Architects.